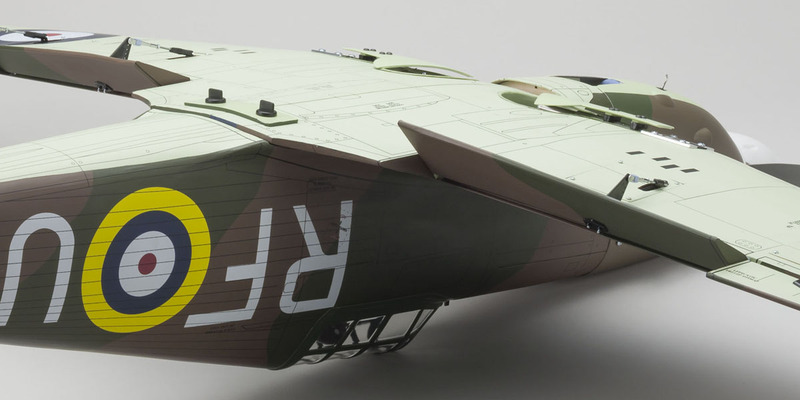 www.imcmodels.gr - Hawker Hurricane Warbird EP/GP "11871"
Lightweight Balsa Structure! Equipped with retractable landing gear with built-in suspension. Regarded as somewhat outdated when it was launched, the Hawker Hurricane actually surpassed the more powerful Spitfire in many respects. Perhaps this was simply because some key parts were still made of wood, the old-fashioned way, but the resulting lightweight and strength produced mild control and excellent low speed performance loved by many pilots. 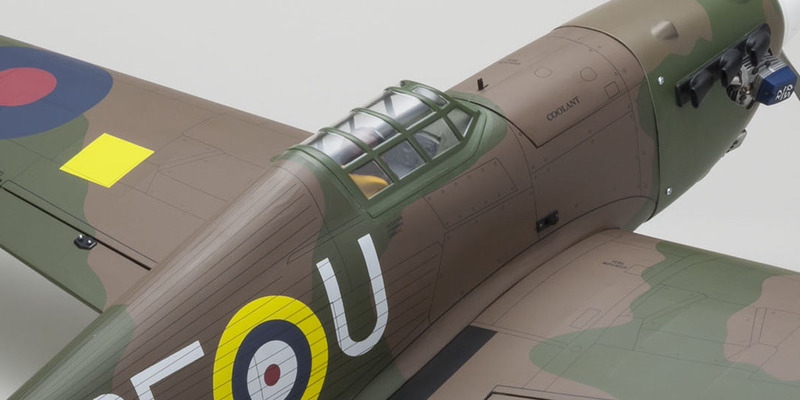 The Hurricane s legendary performance during the Battle of Britain is captured in this handy 50-class recreation. With the high rigidity and lightweight of the balsa rib main wing and fuselage, and the same 19% thick Clark YH airfoil with its gentle taper ratio, the concept of easy-to-fly scale airplanes has been redrawn. 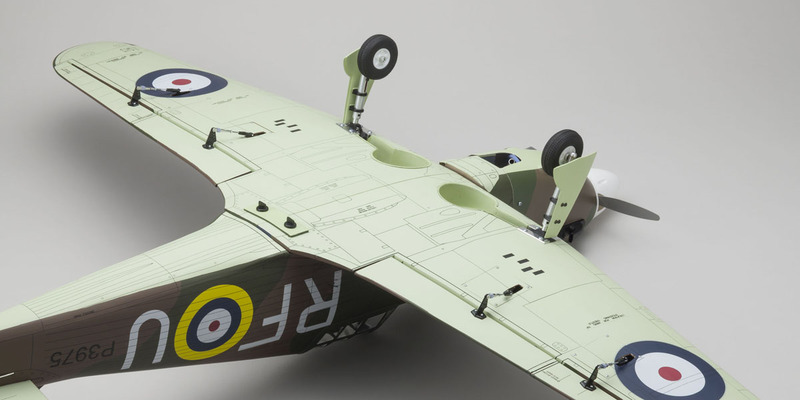 Once you are through flight trainers, this Warbird provides the natural progression to your next step up in model flying. Optimal center of gravity is achieved with a standard R/C system so no weight adjustment is required to deliver the airplane s nimble flight control. 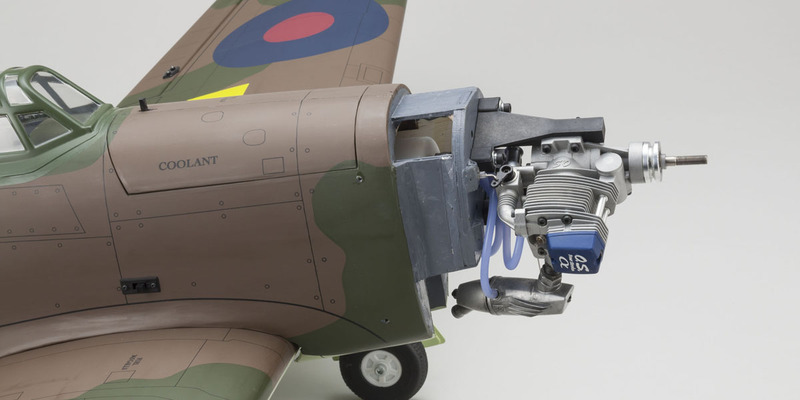 Recreating the formidable style of the original, this Hawker Hurricane is covered in camouflage printed Oracover film and includes special spinner and pilot figure with 3D instrument panel. Retractable landing gear with built-in suspension and large area flaps are also equipped on the near fully assembled fuselage that only requires a short time for completion. Realistic in appearance and flight performance, the Hawker Hurricane makes it easy for anybody to experience the thrill of scale air battle! 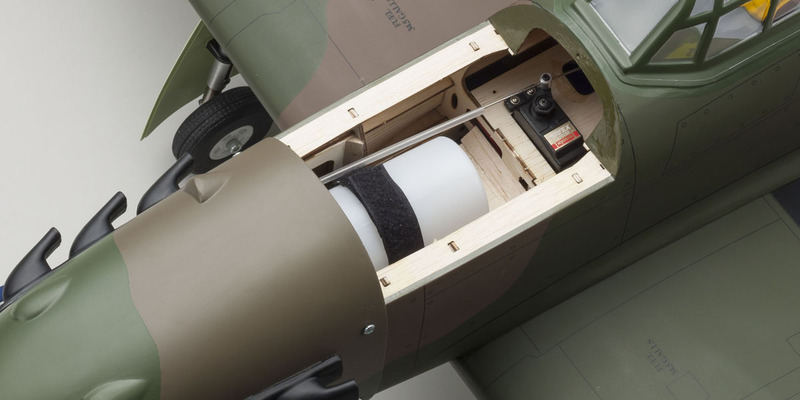 ●Lightweight balsa fuselage, main and tail wings in this ARF kit are pre-covered in camouflage film. ●Handy 50-class size delivers realistic scale feel.  ●Features retractable landing gear with enclosed coil spring suspension. ●Features large area flaps, effective in landings and takes offs. ●Premium Oracover film with striking camouflage print finish is resistant to sag. ●Pilot figure and 3D instrument panel installed. ●Fuel tank, silicon tube, scale spinner and linkage parts set are included. slight exposure of engine head and muffler for cooling. Covered in high quality Oracover film that is resistant to wrinkling and sagging. Camouflage print recreates realistic finish. real suspension function that absorbs unevenness of the airfield surface. Lightweight and high rigidity balsa structure. Includes fuel tank and silicon tube. Nose cover can be easily opened & closed. takeoff and landing control. Delivers realistic flight characteristics. 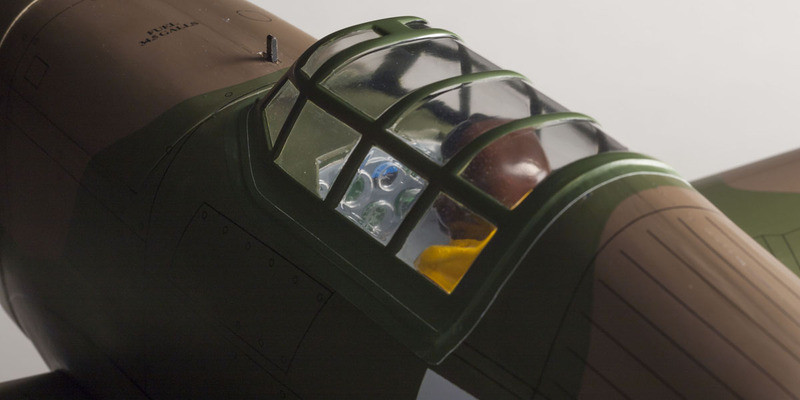 In addition to pilot figure, the cockpit also includes a 3D instrument panel for detailed realism.